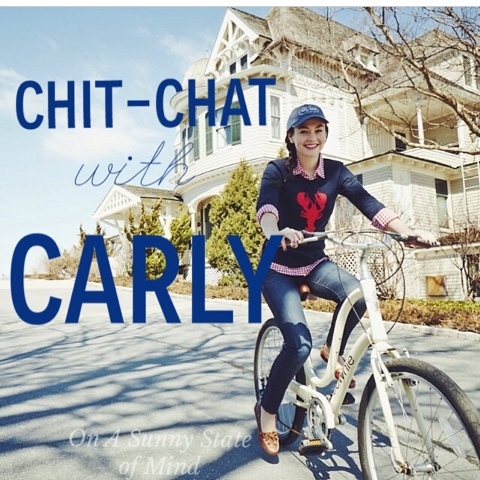 This week I had the amazing opportunity to interview one of my idols, Carly from The College Prepster. Not only is her Instagram feed my hopes and dreams, but her blog is to die for. I'm not even kidding you when I say this interview has been like getting advice from the coolest older sister ever. So, without further adieu, here is Chit-Chat with Carly. M- It seems like you always get to do really cool things- from having your own prints at Evelyn Henson to going behind the scenes at Kate Spade. What's the neatest thing you've ever gotten to do? C- I love all the opportunities that come my way! It never gets old and I always get just as excited when a new opportunity comes up. Working with Teen Vogue has definitely been way up there in terms of "pinch me" moments. M- Your blog is to die for. Seriously, it's my goal. If there's one piece of advice you could give blogger girls everywhere, what would it be? C- Just go for it! Be unique in your voice and what you post! M- Living in New York, you must see a ton of inspiration for blogging and style every day. Where do you go to feel inspired/what gives you inspiration? C- I get most of my inspiration from just my everyday experiences. A bad day can inspire a post or an interesting outfit pairing I stumbled upon. M- From writing daily blog posts to walking your precious pup to attending the chicest events...how do you get it all done? C- I set priorities and figure out what times of the day works best for me. I tend to work for a handful of hours in the morning, take the afternoon off, and then pick back up around 6pm until midnight! 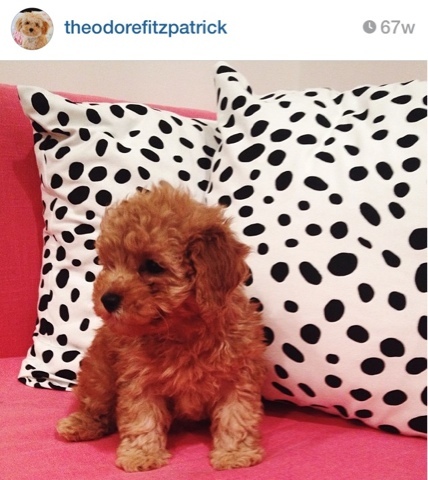 And here's an Instagram snapshot because I hard-core stalked her puppy. Wow! Such a fun opportunity! I love Carly - she's such a cool person, but even more imporant, a NICE person! Happy you got to do that! I love Carly, she's the sweetest! Carly is one of my favorite bloggers, and she is so sweet! Love this interview.